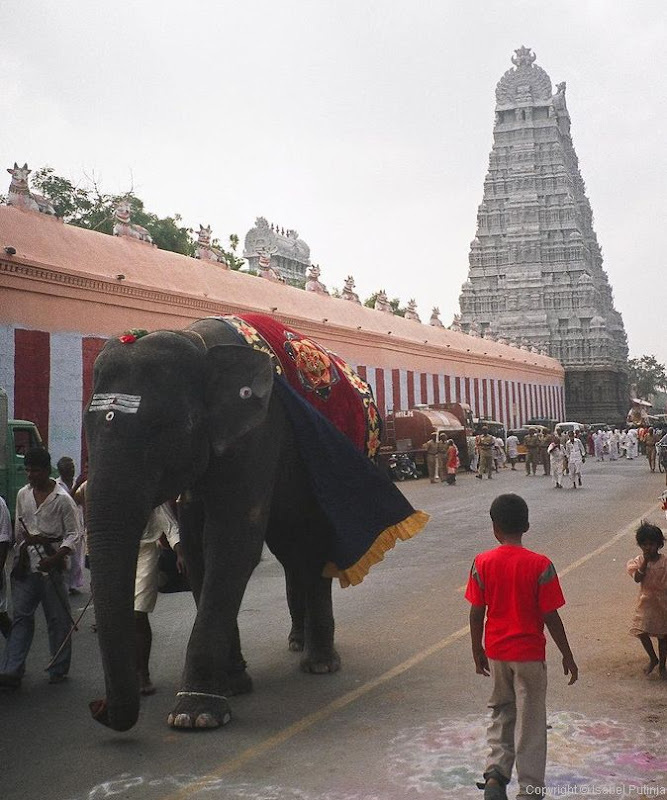 The temple elephant at the Kamakshi temple in Kanchipuram. 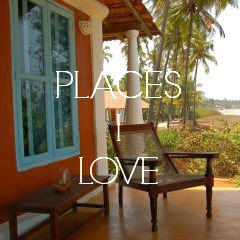 On the bus back to Bangalore, there were no unscheduled flower stops (see previous post). But on the road that winds through rice fields we did come to a sudden halt to let an elephant pass! 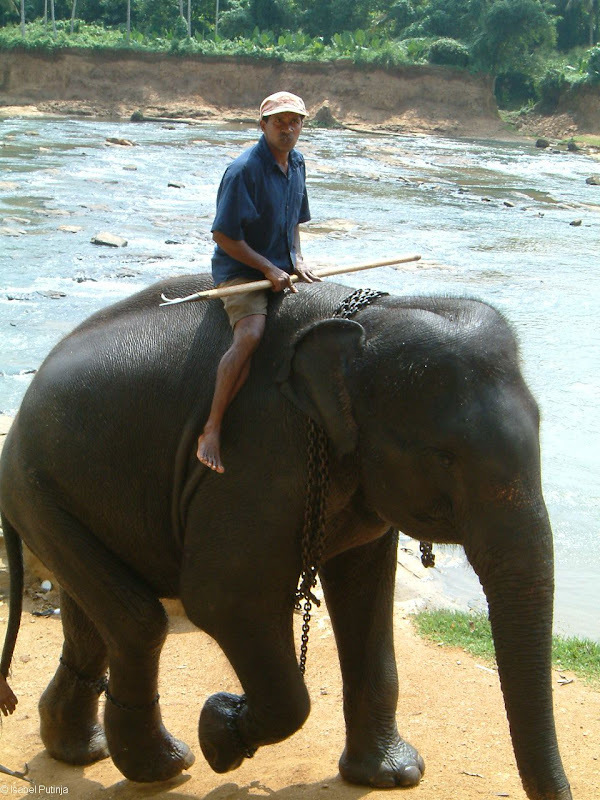 It was almost as high as the bus, with its mahout riding on its back. 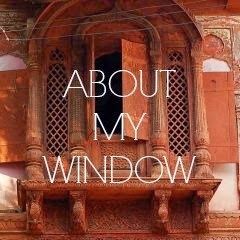 The elephant poked its trunk through the driver’s window. The driver stretched out a coin which the elephant quickly scooped up, handing it to its keeper before tapping the window with its trunk. We continued on our merry way, having receiving the elephant’s blessing for a safe journey! 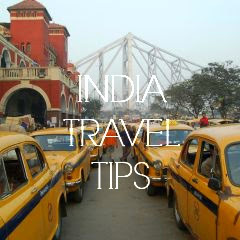 The elephant is a revered animal in India because it’s considered to be a representation of the god Ganesh who has the head of an elephant. 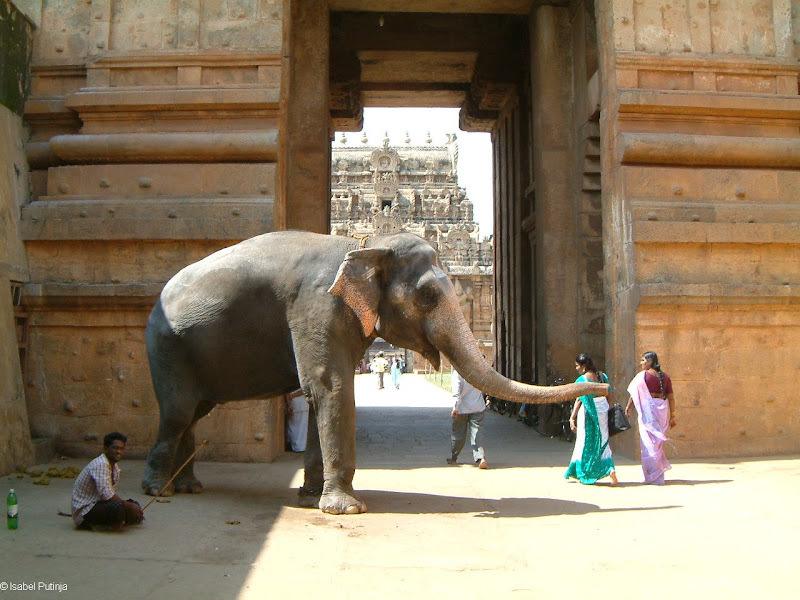 Elephants are often found at the main gates of temples, and are also often part of festival processions. 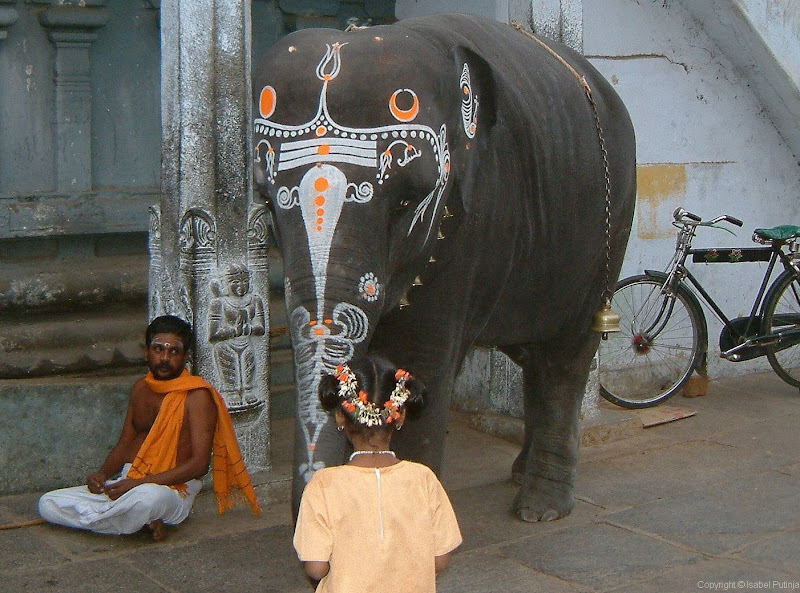 The temple elephant at Meenakshi Temple, Madurai. At the gateway of Tanjore temple. 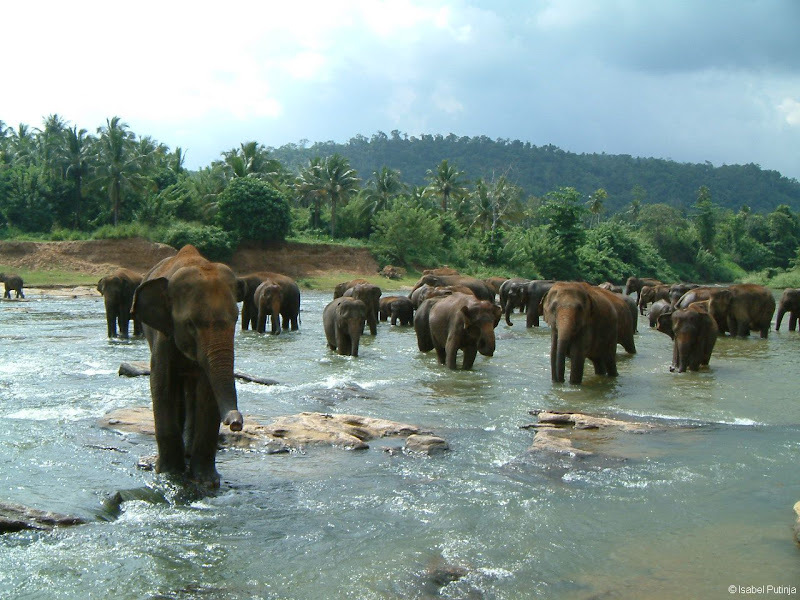 Taking a dip at the Pinnawala Elephant Orphanage, Sri Lanka. 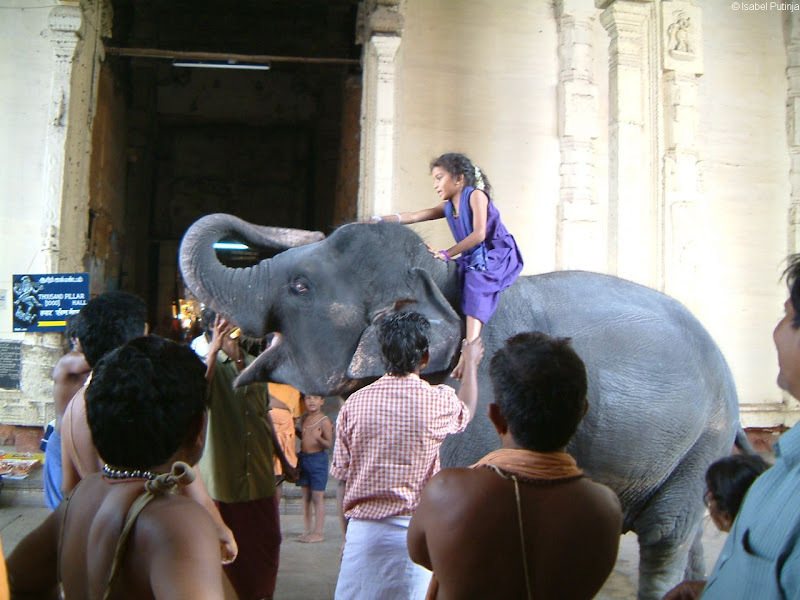 An elephant and mahout at the Pinnawala Elephant Orphanage, Sri Lanka. During the Pongal festival in Tiruvannamalai. 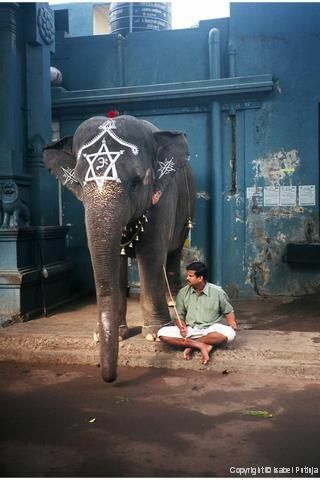 Lakshmi the temple elephant in Pondicherry.